Technical Documents are essential to ensure that product or equipment care and maintenance is carried out to the manufacturers recommended engineering and quality standards. As a result, Technical Documents can help to eliminate any ‘margin for error’ that could lead to breakdown, lack of use, and ultimately failure of the product. Our customers have complete confidence that their maintenance staff can keep newly acquired complex products functioning correctly throughout the product lifespan. Our technical authors create Technical Documents, re-author and re-format existing documents and publications to bring them up-to-date with new standards. We can have documents translated into most languages. Previously, we have produced technical manuals in Korean, German, Italian and French. We can produce publications in a number of popular Technical Document formats and can support your preferred Technical Documentation sets. Our Technical authors can use your existing publication format or design a new format, clearly aimed at your market. If you need maintenance procedures, emergency protocols, quick user guides or something as simple as a menu, we can help you produce clear and helpful publications. Technical Document upkeep can often prove to be a time-consuming task. Many businesses simply do not have the resources available to conduct Technical Document work. 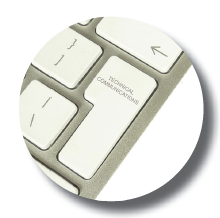 Key Survival Equipment can help you by providing you with a bespoke and turn-key Technical Document capability. See how we can help you by using the contact form below.